I've missed more than 9,000 shots in my career. I've failed over and over and over again in my life... And that's why I succeed." Michael Jordan (You Are Awesome). Hello and welcome to all new subscribers! We have had a lot of fun in the Kinfo library this month – you can view all our previous selections on the newsletters now available on the app. While we all prepare for a new school term – a time for new beginnings and achievements for all – we look forward to this last weekend of freedom. One more book before we get them into their uniform, shall we? 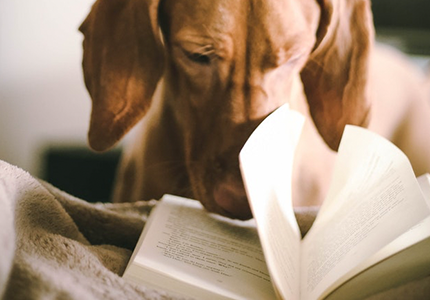 We have a few books to recommend this week that have a hint of that ‘back to school’ feeling, a big whack of inspiration and a (completely necessary) jolt of humour. 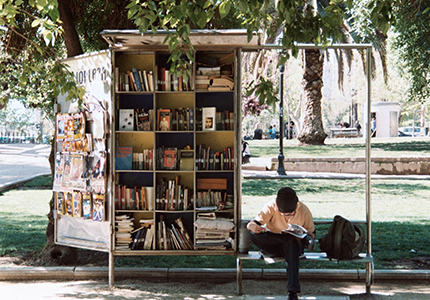 A massive thank you to all you parents who took a few minutes to share those books your kids have loved. 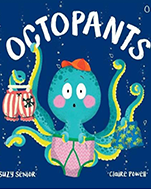 "The rhyming is a joy to read out loud... great underwater scenes and lots of silliness," tips this mum of 2. She's right, pants are a favourite subject of little ones (until they move on to 'number 2s' – eurgh!). 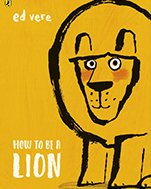 A new story out this summer about a sensitive, gentle lion. The story celebrates individuality and self-awareness. One parents says the captivating story and vibrant artwork completely charmed her 3 year old. 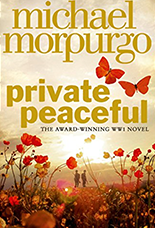 ("A manual for anyone's life, young or old" – Sunday Times). A terrific little book which details how Barry, a cool kid, becomes a loser. 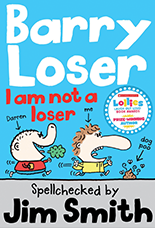 The transformation begins when Darren, the ‘crocodile-faced fart burper’, joins Barry's school and begins teasing him. The book is packed with funny pranks and jokes, but seriously covers the impact bullying can have. For all the Wimpy kids' fans and highly recommended by a mum of 2 on Kinfo. A confidence boost before term starts. 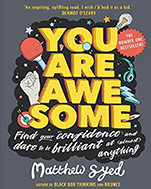 The Week Junior described this as "a great book for anyone who wants to learn about how they can realise their true potential." "My child thought there was too much back story but found great nuggets of truth and pearls of wisdom," says this parent. 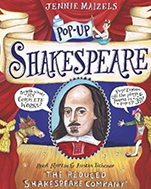 "A delightful, compact history of Shakespeare's famous plays. It even has a section dedicated to romance that my daughter loves. Fascinating, entertaining and stunning," says this mum. 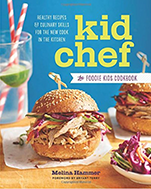 A mum of 2 has got her kids cooking healthy meals, using this book. Not as many illustrations as you might think, but a lot of tasty recipes and a lot of fun to be had in the kitchen. Some great fast-paced fiction with half human/half animals, vampires and things that go bump in the night! 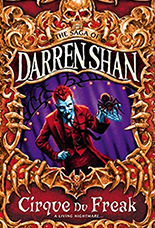 This is the saga of Darren Shan - where does it all begin? ... in the toilet! 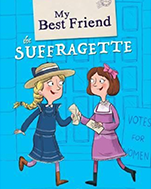 Recommended by this mum of 2 as one of the children's best book of the summer. Would you dare to try it? Girls and boys will be well equipped with weird tales to spread at school after reading this. 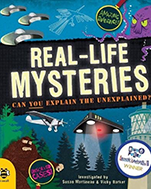 Mysteries includes crop circles, aliens, haunted houses and the Loch Ness Monster. "Are they real life or fiction? Makes for good discussions," says this dad. Kinfo's Book Month comes to a close! We hope you have enjoyed our playlists and that they soundtracked the books that will have, to some extent, defined your kids' summer. We’ll pull together more songs over the coming months, as summer gives way to cosy autumn. Children crunching through the leaves, bonfires, Halloween... we're almost looking forward to next season. PS: did you know that we also post or update our playlists on Kinfo app every week? Follow Mr Kinfo on the app! Before you go, check our next event on: "Kids and Technology" here. It's on Sept 10th in central London (note, events always sell out). If you can't make it, there will be another one on Oct 15. Here. Next week's newsletter is all about school! Share your kids' best breakfast and snacks, fave online shops and other useful tips.